[Vendors at Lake City Uncorked Wine and Music Festival. 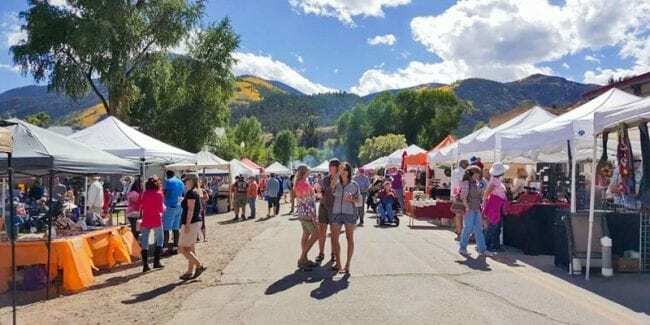 Photo: lakecityfestival.org] One of Colorado’s most remote, and beautiful towns, Lake City invites you out for a lovely fall weekend of good food, wine and music. The Lake City Uncorked Wine & Music Festival is held every third weekend in September. 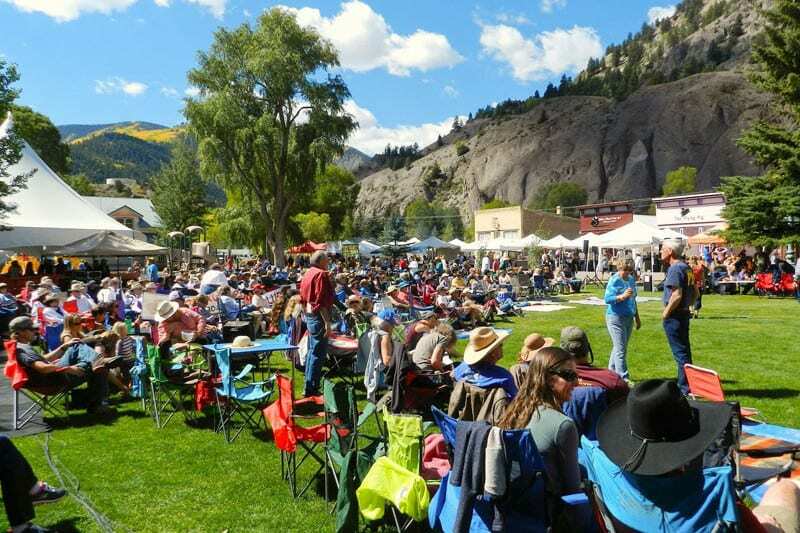 This year’s wine fest occurs on Saturday, September 21st, 2019. The gates open at 10am, the music starts at 11am, and the wine starts flowing at noon. So head on out to Hinsdale County for a spectacular autumn weekend. Sample the local cuisine from a number of the town’s top restaurants. The wine tasting will be all day affair. Beer lovers will also find craft brew from San Luis Valley Brewing in Alamosa. Festival proceeds go to Lake City DIRT, which stands for Downtown Improvement & Revitalization Team. It aims to preserve the history around town, as well as grow the modern economy of Lake City. Unfortunately, no dogs are allowed at the event. Other popular area activities include hiking, fishing and off-roading. You can rent jeeps in town at Lake City Auto.